Spend a day out hard-water fishing! For the most part, Alaskans love winter. It comes with the territory of living in the Great Land. For many, winter means cleaning and putting away the fishing gear, but each year, more and more folks are finding that ice fishing, or what we affectionately call “hard water” fishing, is a great way to spend time during the winter months. Ice fishing does require specialized gear, not only to fish, but to also stay safe on the ice. But show me an angler who doesn’t relish the idea of a visit to the nearest sporting goods store to add to their quiver of fishing equipment! This month, the Division of Sport Fish encourages you to grab a friend and get out on a frozen lake near you to keep the fishing bug alive. 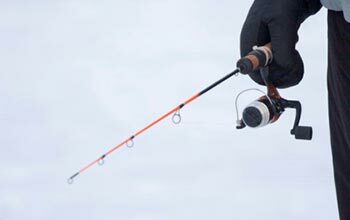 In this edition of “wefishak Reel Times” we’ll help you be safe on the ice; invite you to give ice fishing a try by using our Rod Loaner Program that allows you to borrow ice fishing gear from a local Alaska Department of Fish and Game office; encourage you to review and comment on our 2018 draft stocking plan; and, we’ll show you how to find a local lake that has been stocked with catchable sized fish, just waiting for you to drop a baited line. How thick should the ice be before going ice fishing? Please remember: Sometimes no ice thickness is safe! When in doubt, don’t risk it. Make sure you let others know your trip plans, such as where you’re going and when you plan on being back home. Carry a cell phone or other means of communication. Remember to keep the phone warm since a cold battery has a shorter life. Having a GPS or compass is always a good idea too in case the visibility gets bad, or you find yourself walking back to your vehicle in the dark. 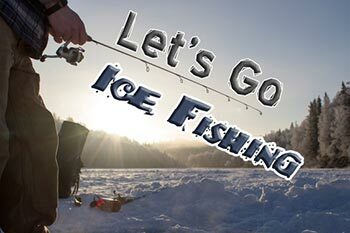 Don’t ice fish alone! Sharing the experience is always more fun, and it’s much safer in case there is a need for help. Carry self-rescue equipment in case you or someone you’re with falls through the ice. A simple but effective tool is two spike nails tied together by a cord which can be used to pull yourself back on to the ice. Wear cold weather gear that provides protection from the cold and wind. Don’t forget the sunglasses on those sunny cold days! What to do if you fall through the ice. Cold water can be deadly. Time is of the essence to get out of the water. Hypothermia is the biggest threat once someone is wet and cold. Try to get back on firm ice by kicking your legs while pulling, and rolling back on to thicker ice. Once back on the ice, immediate warming is critical to minimize the chances of hypothermia. As soon as possible remove wet clothes. What to do if someone else falls through the ice. Immediately call 911 for help. Reassure and calm the person in the water. Assist them by tossing a rope or other long object to help them out of the water. Don’t put yourself in danger of falling through the ice – two people in the water only doubles the emergency. Buy your 2018 Sport Fishing License Online! Many Department of Fish and Game offices have limited basic fishing equipment to loan anglers, free of charge! If you’re still trying to decide if you want to take the leap and buy your own fishing equipment, or have visiting family coming to town, we can help “set the hook” to becoming a lifetime angler by providing short-term loans of our fishing equipment. Depending on the time of year, anglers of any age can borrow spinning rods or ice fishing equipment for up to seven days. Stop by our offices in Fairbanks, Delta Junction, Palmer, Anchorage, or Homer. We’ll get you set-up for a fun day on the water or ice. For more information, please visit our wefishak rod loaner web page. Where can I find a stocked lake? Thanks to the tireless efforts of Division of Sport Fish hatchery staff at our two Sport Fish hatcheries in Anchorage and Fairbanks sport anglers throughout Southcentral and Interior Alaska can fish stocked lakes year round. By simply searching our web-based stocking search tool, anglers can search by lake or area, fish species, or dates of stocking. The Division of Sport Fish stocks a variety of fish species into lakes and streams throughout the state. Rainbow trout, Arctic char, Arctic grayling and landlocked coho and Chinook salmon, raised in the state's two fish hatcheries, are stocked in many Southcentral and Interior lakes. In addition, coho and Chinook salmon smolt are released into several streams and marine locations to return in subsequent years. Can I find out when fish are going to be stocked in a specific lake? No, the schedule is based on when the fish are ready and the most efficient transport means is available. To determine about when a particular location is going to be stocked, look at the previous year’s data. Locations are stocked at approximately the same time each year. The Alaska Lake Database is a web-based resource that shows most of the fishable lakes in Alaska. Once a lake is selected, general information about location, access, and lake characteristics as well as stocking information is available. Bathymetric maps of many lakes may be available, and found, on our Stocked Lakes Maps page. Check out our Recreational Boating and Angler Access Program to see how the department is enhancing your fishing access at many stocking locations. 2018 Draft Statewide Stocking Plan: Your input is needed! The Division of Sport Fish is accepting public comment on its 2018 Statewide Stocking Plan until January 30, 2018. 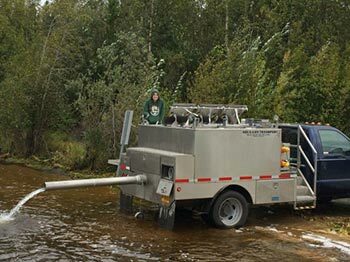 Over the next five years, the Division of Sport Fish, with assistance from private non-profit hatchery operators, plans to release approximately seven million fish annually into the waters of Alaska to benefit sport anglers. The draft plan outlines the locations, numbers, and size or life stage for each species of fish that are planned for stocking. The draft stocking plan is available for review on the Division’s Hatcheries and Stocking webpage.